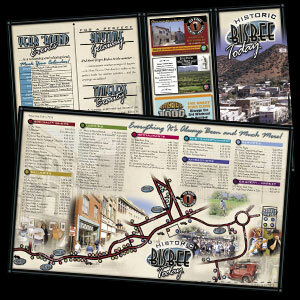 I developed this brochure for a group of merchants in Bisbee, Arizona to help them promote their town and businesses. Click here to download the PDF. 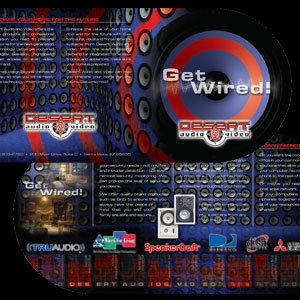 This brochure that I designed for Desert Audio and Video takes advantage of a couple unique techniques. For one, the curved 3d speaker wall used as a background image throughout was built in 3d using Cinema 4d. Secondly the brochure uses a die-cut that wraps the speaker that forms the cover of the brochure. Click here to download the PDF.